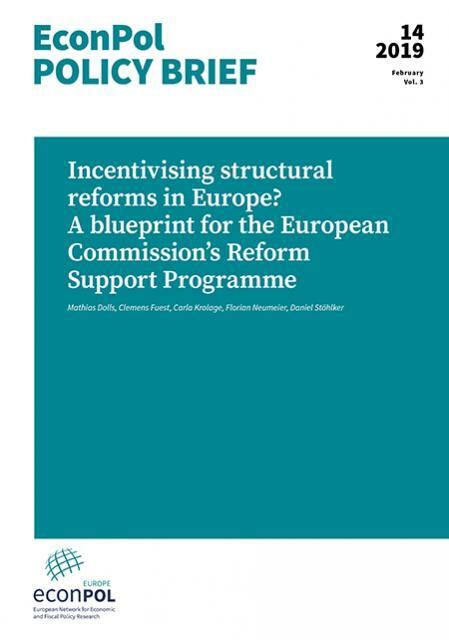 Incentivising structural reforms in Europe? 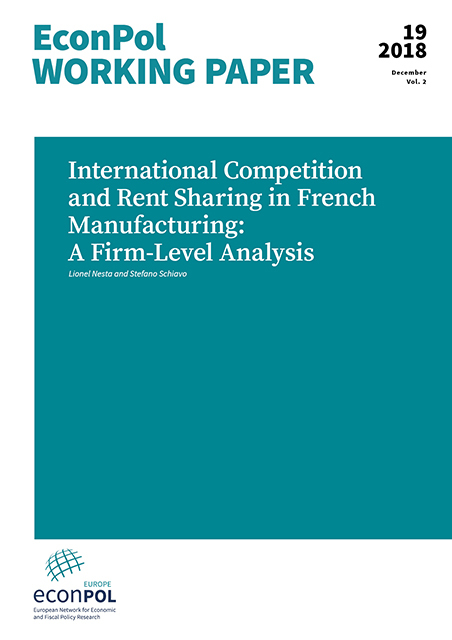 Read more about Incentivising structural reforms in Europe? How can a faster implementation of structural reforms fostering the process of economic convergence in Europe be achieved? In our latest policy brief, EconPol researchers discuss the rationale and potential adverse effects of providing financial incentives for structural reforms and present a proposal of national convergence roadmaps. Although these proposals deviate from the Commission proposal in some key dimensions, they reflect the fact that ensuring progress towards convergence targets is primarily a responsibility of the individual member states - not of the EU or European institutions and bodies like the European Commission and the Eurogroup. Europe is becoming increasingly similar to the late Habsburg Empire, a powerful example of fragmentation and tendencies towards disintegration arising in multinational, multi-linguistic, and multi-ethnic integrated economic entities. 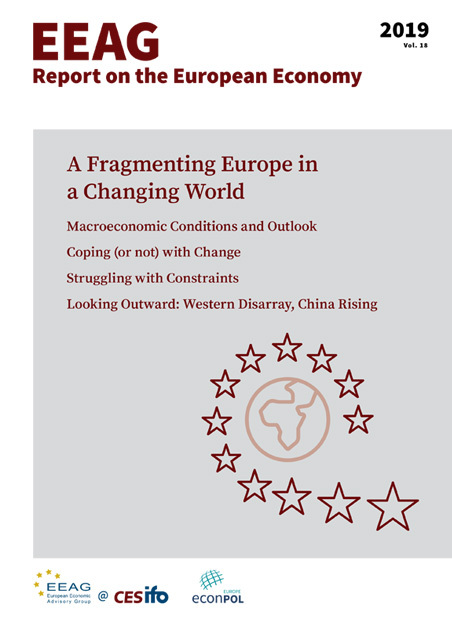 To understand why and what the consequences may be, this year’s report by the European Economic Advisory Group (EEAG) at CESifo looks inside EU member states, where much besides European integration has been happening, and outside Europe, where powerful economic and geopolitical challenges have shaken many European countries and sectors. Trump’s trade attack on China – who laughs last? Read more about Trump’s trade attack on China – who laughs last? A modern general equilibrium trade model to simulate the effects of the Chinese-American trade dispute finds that both economies lose, but China loses absolutely and relatively much more. In our latest policy brief, the authors analyse the potential impacts of an escalating trade war and find that while the bilateral tade balance of the US with China improves, it deteriorates with the EU and forebodes further transatlantic conflict. 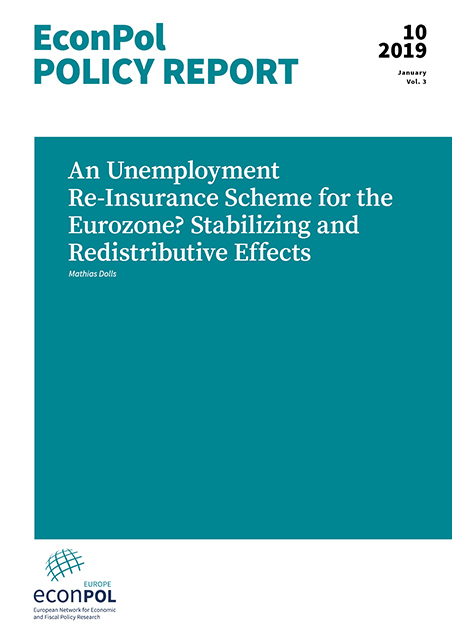 This paper develops a decomposition framework to study the importance of different stabilization channels of an unemployment re-insurance scheme for the euro area. The paper provides insights on the potential added value of a re-insurance scheme which crucially hinges on its ability to provide interregional smoothing. Running counterfactual simulations based on household micro data for the period 2000-16, the paper finds that on average 15-25 per cent of the income losses originating from rising unemployment in deep recessions would have been absorbed through interregional smoothing effects. The results suggest that the interregional smoothing channel of the re-insurance scheme is economically as important as the intertemporal smoothing effect of an average domestic unemployment insurance scheme in the euro area. The latter would have led to a cushioning effect of 16-27 per cent of large unemployment shocks. 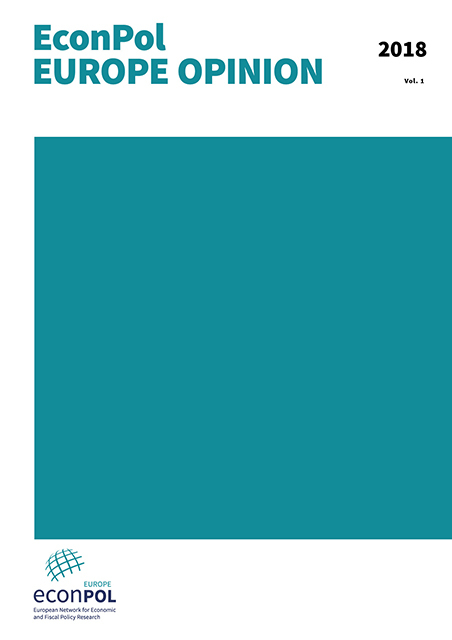 The simulated re-insurance scheme would have been evenue-neutral at EA-19, but not at the member-state level. Average annual net contributions would have amounted to -0.1-0.1 per cent of GDP. No member state would have turned out as a permanent net contributor/recipient.